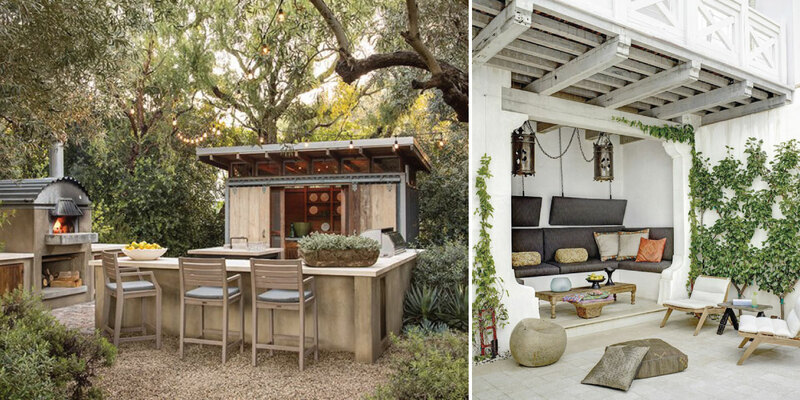 Blog / Backyard design: here are the 2019 trends! 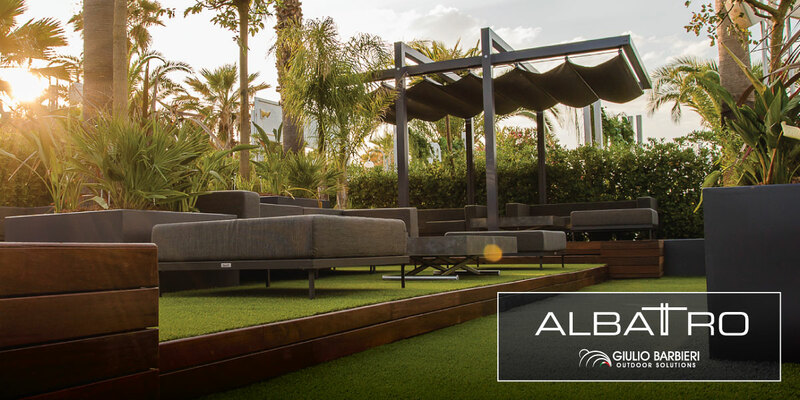 The year has just begun and it is already clear to all those working in the field which will be the new trends in outdoor design in 2019. The three key adjectives that will define backyard design will be 'Hybrid', 'Convivial', and 'Minimal'. Stop to divisions and categories! Borders are fully 'demolished'! Architects and designers confirm the trend of the recent years which sees the garden as an actual extension of the living room, increasing the fusion between the two environments even further: a 360° open space that continues into the "outdoor home", extending the concept of "home" outside the walls of the house. 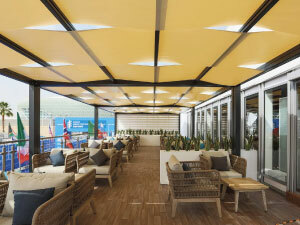 The outdoor area is perceived as an integral part of the "living room". 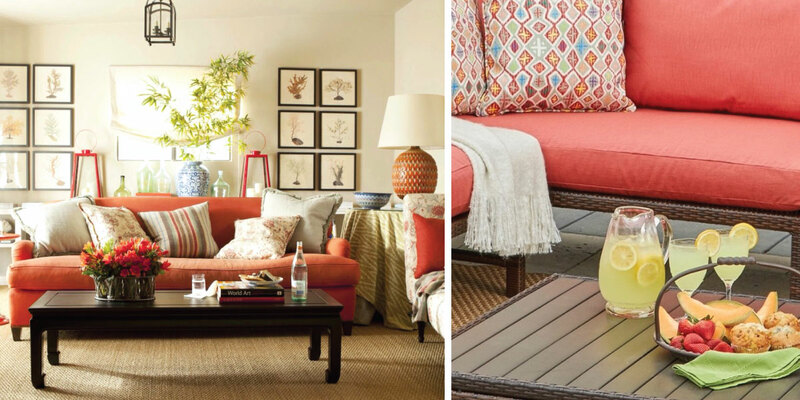 The archetype of a veranda furnished with sofas, pouffes, and coffee tables is now an outdated and limiting idea. As a matter of fact, outdoor cabinets are increasingly more in vogue and, for those who have the right space and availability, the furniture can even reach the poolside, with the installation of state-of-the-art outdoor kitchens for special events. It is, therefore, increasingly common to find multi-room furniture - versatile options for both indoor and outdoor spaces, made of technical materials that, despite being designed to withstand the elements, are able to give the furniture an equally warm and comfortable appearance with a wide range of textures, colours, and finishes. First of all, you need the right colour! But what colour will inspire conviviality in furniture for 2019? Pantone, a U.S. company specialising in graphics and categorisation of colour trends, has already chosen the colour of 2019 - a highly anticipated annual occurrence for all experts in the field. While last year it was the Ultra Violet 18-3838 and the year before the Greenery 15-0343, this year we will be brought to life by a bright Living Coral 16-1546. According to the executive director of Pantone, Leatrice Eiseman, this colour is: "earthbound and welcoming, optimistic and intimate".It has been chosen because it is reassuring, present both in nature that surrounds us and in the virtual world that we experience every day. Perfect, for example, as the colour of a sofa that will brighten up the monochrome tone of a living area, or to paint an entire wall of the house. "It's a shade people want to live with, which is exactly why we chose it," comments Mrs Eiseman. So, as already mentioned, style and design will be oriented towards promoting harmony between people and conviviality. The experts in the field continue to prefer environments furnished in a humble, simple, and natural way, that make the guests feel at ease. It is no coincidence, therefore, that this year too, the undisputed protagonists remain shabby fashion and the appreciation of the vintage and the rustic. But what could be more convivial than a summer bonfire? It would seem strange to talk about such an ancestral element in a future-oriented article like this one. Fire is one of the fundamental elements of Nature and it will always have a special charm on people. 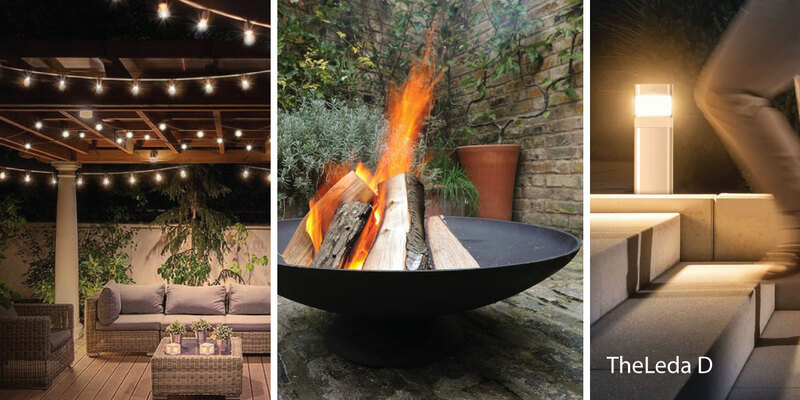 Because of this, designers continue to include it in their idea of outdoor, especially in 2019, when one of the hottest trends will be garden braziers and outdoor fireplaces, to further emphasise the idea of cosiness, relaxation, and tranquillity. The choice of lighting will make an excellent final touch. The string lights - bulbs of warm and retro light bulbs hanging from a simple rope - are once again in trend for the year. They are perfect for creating a romantic, intimate, and dreamy atmosphere, punctuating the sky above the garden or wrapped around certain elements, such as the trunk of a beautiful tree. The lighting jars, beloved by DIY enthusiasts, are also perfect for creating that magic of points of light in your outdoor environment. For those who prefer a more minimal and technological design, the winner of the German Design Special Award 2019 "TheLeda D" deserves a special mention. It's a very functional LED lamp for the outdoors with motion sensors, which can be adjusted using a remote control or an app, efficient for energy monitoring and saving. This option is ideal for illuminating external stairs or paths and walkways. OUTDOOR DESIGN: MINIMAL, BUT NEVER "ASCETIC"! The Japanese art of wabi-sabi is born when the love for handcrafted objects goes hand in hand with minimal design. This philosophy sees the imperfect as beautiful, it gets rid of the useless and, at the same time, it does not look for impeccable objects but brings out the beautiful from what is already there, even if broken or old, as if every object had a soul to respect and honour. A garden that bears in mind the Japanese principles of the wabi-sabi will, therefore, incorporate natural and handcrafted elements, combined in a way that allows you to appreciate their humble forms. For example, it is advisable to include evergreen plants in the project and place stones on a part of the path, so that lichens and mosses can grow over them, witnessing the changes that Nature and Time bring onto physical objects. BACKYARD DESIGN ...ONLY IN SUMMER? If everything revolves around the concept of conviviality, we tend to focus our imagination on the sunny summer Sundays and a cheerful group of friends in front of a steaming barbecue, with good wine and light music, all framed by an outdoor living space furnished with ease, where elegant elements of minimal design coexist harmoniously with curious handicrafts. But why limit yourself to just the sunny days? In fact, a well-furnished and protected space lends itself just as well to rainy days: in this case, you can spend time on the veranda reading a good book or watching a movie and the cloudy sky becomes, more than ever, a key element for relaxation! 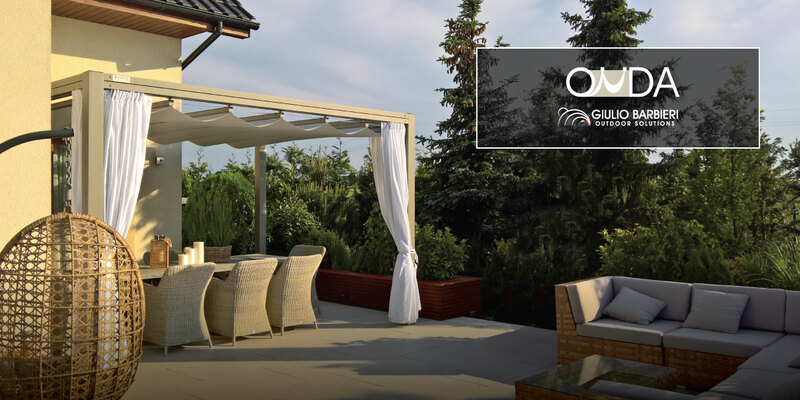 If you want to enjoy your garden even in the coldest months, you must necessarily rely on pergolas that provide a minimum of thermal insulation and a reliable rainwater seal, such as a bioclimatic pergola. In this case, the cost can be very high, sometimes comparable to a masonry extension, and the complexity of the roofs, which are often motorised, requires frequent maintenance to ensure the proper functioning of the various mechanical parts. 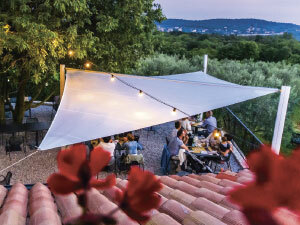 Fortunately, there is a rich and varied offer on the pergola market and it is not difficult to find a solution that can meet your needs, reaching a good compromise between quality and price. For example, it is possible to extend the use of the veranda even closer to winter, when the temperatures are not yet too cold, by purchasing a simpler pergola, with a manually operated sliding roof, with side walls made of PVC or glass. We strongly recommend not to cheap out on the materials, maintenance, and the load-bearing construction system, which must provide strength and stability. It is not only a question of spending budget but also of the owner's willingness to ensure that their veranda undergoes all the planned maintenance. It is well known that iron and wood, if not regularly treated, can deteriorate and compromise the safety of the roof, while aluminium always remains the easiest material to handle, because its oxide is protective, rather than corrosive. 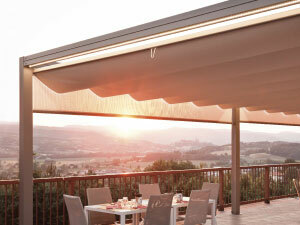 Are you looking for a pergola with a retractable awning? Request a quote for a tailored project! THE SUMMER SEASON IS ABOUT TO BEGIN! 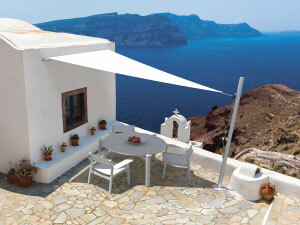 Soon the summer season will begin, and the market is getting ready to present the numerous new options. We are already starting to look at our garden with brand new eyes, and you? We just have to find the furniture that inspires us most, and of course, it will be "hybrid, convivial, and minimal"!